With the new X-S1, Fujifilm have produced the ultimate super-zoom bridge compact camera, with a long list of desirable features, intuitive user interface and excellent image quality. The only real drawback is the price-tag, which puts the X-S1 up against mid-range DSLRs and high-end compact system cameras as well as its main superzoom rivals. Building on the success of the HS10 and HS20 EXR super-zooms, the X-S1 is an altogether more serious proposition - bigger, heavier, sporting a better electronic viewfinder and image sensor, offering faster RAW processing, start-up, shutter-lag and focusing times - it really does fix the main issues that we had with the HS20 EXR. Although the lens isn't quite as long at a "mere" 26x, the new 2/3-inch sensor results in much better performance particularly at the higher ISO speeds. We wouldn't hesitate to use the X-S1 at ISO 100-800, and even ISO 1600 and 3200 are usable for smaller prints and the web, putting the X-S1 well ahead of all other super-zoom compacts. That doesn't compare so well to similarly-priced DSLRs or compact system cameras, though, so you really need to decide if the do-it-all approach of the X-S1 makes up for the drop in image quality. The X-S1 excellent electronic viewfinder is comparable to the best compact system camera's viewfinder, offering a large, bright and detailed display that's a veritable joy to use. Fujifilm have also rectified another common fault of typical super-zooms - namely slow operation - with auto-focusing, start-up, shutter-lag and file write times all quick enough so that you don't notice them in every-day use, even when shooting RAW+JPEG files together. Finally we have a superzoom camera that can boast similar responsiveness to a DSLR. The X-S1 offers the main benefit of being a real all-in-one alternative to a DSLR. with no need to buy or change lenses thanks to the high-quality 26x lens, which is remarkably distortion-free and admirably fast at either end. The manual zoom and focus rings further reinforce that DSLR feeling, as do the external flash hotshoe, command dials, tilting LCD screen, full range of manual shooting modes and RAW format support. Full 1080p movie recording with stereo sound is the icing on the cake, making the X-S1 a viable replacement for your video camera too. All of these improvements and features do come at a literal price though - £699 / $799 is an awful lot of money to pay for what is a fixed-lens compact camera, easily making the X-S1 the most expensive super-zoom on the market. Having said that, it's also easily the best-in-class super-zoom, offering a compelling mix of features, performance and image quality that no other rival can match. 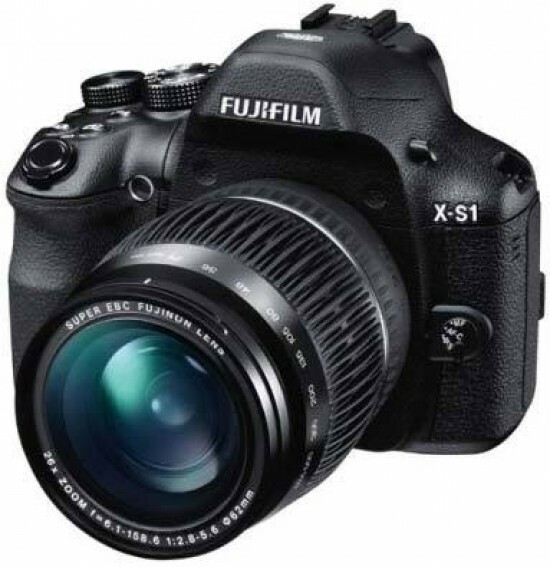 If you want one camera that can do it all, then look no further than the Fujifilm X-S1.